This is our first “Office Hours” of 2017. It’s the time of New Year’s resolutions, when we think about what we’re going to in order to make 2017 our best year ever. But I want to talk about a different kind of New Year’s Resolution for this year, and a different way to think about how to improve what you do as a financial advisor. There’s a famous anecdote called “The Boiled Frog“. It says that if you try to put a frog into a pot of boiling hot water, it’ll instantly leap out to avoid the danger… because it’s painful to be dropped into a pot of boiling water. But if you put the frog into a pot of cool water that’s nice and comfortable to the frog – its native environment – and then you gradually heat the water until it starts boiling, the frog won’t realize the threat until too late. It will sit there and let itself get boiled to death. The idea is to recognize that our instincts are really geared towards detecting sudden changes; “Oh, I’ve been introduced a boiling pot of hot water,” and not gradual ones like, “Oh, the water is one degree hotter. Oh, it’s one degree hotter. Oh, it’s one degree hotter (and might be reaching a dangerous temperature).” And, as a result, we don’t notice gradual changes until it’s too late. I think this is a powerful analogy for a common problem I see crop up fairly often amongst financial advisors: How we manage our personal time, and how, sometimes, we let our personal time pressures get past that boiling point. When you get started as an advisor, the reality is (for most of us), that you have a lot of time, and not a lot of clients. As a result, things are pretty flexible. You can do whatever clients ask of you, and you can take care of whatever needs to get done in the business, because there’s a lot of time and not a lot of clients. But over the first couple of years, that changes. You accumulate more clients over time. Then eventually, you hit this point where between servicing all the existing clients, handling a growing level of operational tasks for all those clients, fielding new client inquiries as you get established and create a reputation for yourself… you run out of time. Or at least, you run out of spare time. Suddenly, there’s no time to think about what you’re doing in your business or how you’re moving your career forward. Basically, you’re just forced to keep up trying to react to client demands, to business demands, and to prospect opportunities. The problem, ultimately, is that when you hit this wall, you stop growing and you stop moving forward. You can’t move forward. Because there’s really no more time to handle and take on more clients, to take in more business opportunities, and to work with more people. Unfortunately, like the frog in the pot of water, most advisors don’t even realize they’re approaching that wall, until you’ve already hit it. Even though, if you were dropped in your job today, you’d probably say, “There’s way too much stuff for one person to do and not enough time in the day.” But since you’ve reached that point so gradually over years, you may not even realize how buried you’ve allowed yourself to become. Are you finding yourself working lots of evenings and weekends and resenting it, but finding it’s the only way to get things done because most of your daytime was just gobbled up responding to all these client issues and business needs and all the competing demands? The problem with this is eventually, you start self-sabotaging your own business. When you’re fearful to get the next new client because you can’t figure out how to find the time to do their plan, eventually you subconsciously figure out how to not get the next client. If you’re afraid that doing more proactive planning with your clients means there’s going to be more work, you figure out how to not be more proactive with your clients. And then, suddenly, you’re not getting growth, and retention falls off, and your business is in trouble. Don’t overwork yourself, or you’ll self-sabotage getting new clients and won’t be able to grow your business! So if this is you, how do you break free? I’m going to give you a different kind of New Year’s task to work on this week: I want you to create a “Stop-Doing” list. We’re all familiar with the traditional “To-Do” lists (i.e., all the things that we need to get done). So a “Stop-Doing” list is a list of things we need to not be getting done (or at least not be getting done ourselves!). It should either be delegated, outsourced, or just crossed off the list because it doesn’t really need to get done in order to be successful in the business or to move your career forward. If you’re not sure what to put on your “Stop-Doing” list, here’s a good place to start: Make a list of any task that you tend to repeat on either a daily, a weekly, or a monthly basis. Something that happens pretty regularly and routinely. Maybe that’s the process of scheduling client meetings where you’ve just got to do them over and over again for all those meetings. Maybe it’s a regular report that gets sent to clients. Maybe it’s reconciling your accounts as a business owner and doing the books. Create that list, and then go through the list and start looking at what you really don’t need to be doing anymore. Because when you make that list of regular recurring tasks, you are basically making a list of the things that I’m going to ask you to delegate or let go of over the next three to six months so you can get your time back. You just wrote your stop-doing list. For those of you who are using the Periscope app, I’d encourage you; share your own ideas. What is something that you are regularly doing that when you really sit down and think about it, you personally should not be doing? That you need to let go of? That you need to delegate to someone else that maybe you never took the time to do before, but here, now, today, I’m giving you the permission to let go? Let it go, stop doing it, give it to someone else! So here’s what I want you to do – and this was my personal breakthrough in figuring out how to delegate – I want you to go and install screencasting software. If you’re not familiar, screencasting software lets you capture what’s happening on your computer screen, as well as any audio from your microphone. In the past, I used a tool called Screencast-O-Matic. Now I use one called Snagit. Screencasting software makes delegating easy, by simply recording what you already do as a training video! I see some comments coming in about the concern of supervising the delegee (i.e., the person that receives the task). This is why I really encourage you to start with the tasks that you repeat most regularly. Because the reality is for a lot of us, there’s a lot of relatively simple tasks that get repeated over and over again, and the truth is, there’s not a lot of range and room to really go wrong with it if you’re simply giving a person a repeated task with a video that shows them exactly how to do it. Again, I used to use a tool called Screencast-O-Matic, now I use one called Snagit. I think it’s about $50 a year for the full version that lets you do all the capture and audio and the rest that goes with it. So start with the things that are most consistently repeated because they’re the most straightforward to delegate and let go. That’s why your “Stop-Doing” list begins with the stuff that you repeat the most. Now, there are some tasks and duties that are more complex, that require a little more outside expertise. So the second thing I want you to add to your “Stop-Doing” list is anything you could reasonably hire someone else to do, because it’s not your core competency as a financial advisor. I saw a comment go by in this Periscope broadcast already: “Yeah, I’m spending a whole bunch of time paying bills.” Fantastic thing to let go of! That’s something bookkeepers can help with. That’s something where you can use a service like Bill.com. So you just click a couple of buttons and out go the vendor payments, or in come the invoice payments. I know we all get stuck in this trap. “Nothing in my business can be done as well as what I do myself.” And I’ll say this as nicely as possible: get over it. There’s no way you’re simultaneously the best financial advisor, the best business owner, the best bookkeeper, bill payer, web designer, marketing consultant, technology manager, and all the other things that we tend to put on ourselves that we really shouldn’t. Now, I’ll admit, for me personally, it actually did start with bookkeeping and bill paying. That was the first thing I personally outsourced out of my business. And I thought for years, “Oh, I have to manage my own books so I can keep track of what’s going on in my business.” You know what the truth was, though? My bookkeeper did a fine job. Once a month, I spent about 15 minutes going over a QuickBooks report to make sure that everything was on track, and every now and then, I’d send her an email to say, “Hey, can you explain this line item a little more, because it doesn’t ring a bell.” That’s it. I turned what was a couple of hours a month into a couple of minutes a month. And when you repeat that across lots of different tasks, you find an immense amount of time comes back to you. And the more that a task gets repeated, the more time you free up by giving it to someone else so that they can do it four times a year, or four times a quarter, or four times a month, whatever it is. And you just have to spend a few minutes overseeing the outcome and making sure that you’re happy and that it was done the way that you wanted it. If not, make an adjustment, and then it gets repeated the right way going forward. Now, on the topic of bookkeeping in particular, I’ve got such a passion for letting go of this now that I actually co-founded a business called FA Bean Counters. Guess what we do? Bookkeeping for FAs, for financial advisors, for all of you. Now, what you outsource is up to you. And it’s really about what takes time in your business. So maybe it’s someone helping to maintain your website or other technology. Maybe it’s help scheduling appointments, trading, or portfolio accounting downloads and reconciliation. The amazing thing about our financial advisor role now is there’s a huge growing list of virtual outsourcing providers that can help with all of that. For instance, virtual back office solutions for advisors is actually a growing niche unto itself. Because, for so many of us, we don’t necessarily have a business that’s at the right size where we want to hire a full-time person to assist with this. We need help for five, or ten, or fifteen hours a week. And hiring someone for 15 hours a week and taking three hours to oversee them frees up 12 hours a week. That’s most of the evenings and weekends you are trying to figure out how to get back! The fundamental point to all of this is to recognize that in the end, good time management is about taking control of your schedule, deciding what you should be doing yourself, and saying “No” to the rest. 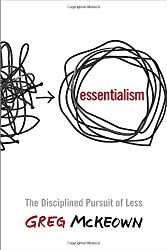 There’s actually a famous saying out there – I first heard it from Greg McKeown who wrote Essentialism, which is a book I highly recommend – but I’m told it actually comes from Warren Buffett. And the saying is, “The difference between successful people and very successful people is that very successful people say ‘No’ to almost everything.” Because the truth is that there’s a neverending list of things that you can be doing. If you’re smart and hardworking, there’s really a never-ending list of things that you can do. The difference between successful people and very successful people is that the latter say ‘No’ to almost everything! So it’s not a question whether you can do a task. Moving forward, it’s all about finding the highest and best use of your time, focusing on that, and letting go of the rest. For most of us financial advisors, your single highest and best use of time is spending it in front of clients. Anything else needs to come off your plate, as it is not the highest and best use of your time. And financially, it is not what you’re going to be paid well for, compared to more time facing clients anyway! So if you are out of time… If you’ve hit that time wall… If you feel like the frog in the pot where you’ve already let it get past the boiling point… Then realize it is killing your business or your career! The only way to shift where your time is spent is to start letting go of things. You can’t just say, “Hey, here’s a new thing I want to do,” because you’ve already reached the point where there is no time to possible add it in. As we get going into the New Year, and you take some time to engage in strategic planning, my suggestion is that if you’re feeling like you’ve hit that wall and you really want to break through, what you need to do right now is not figure out the next great idea that grows your business – but instead to sit down and make your “Stop doing” list. You need to figure out what you’re going to get off your plate so that you can free up the time to actually take your business forward. I hope that provides little food for thought here in New Year’s week. Welcome to 2017! This is “Office Hours With Michael Kitces,” 1:00 p.m. East Coast time on Tuesdays. Thanks for hanging out with us, and have a great day, everyone! So what do you think? Is it time for you to consider a “Stop-Doing” list? Would eliminating routine tasks help you free up more time to be productive with clients? What would be at the top of your list to let go of? Please share your thoughts in the comments below!